Since he was young, a teenage boy named Natsume Takashi has been able to see youkai, but keeping this ability a secret has now become a heavy burden for him and has made his life difficult. This begins to change when Takashi inherits his grandmother's "Book of Friends." 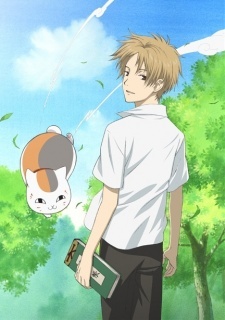 He discovers that she, Natsume Reiko, shared the same ability as him and starts to understand why he was always targeted by both good and bad youkai. After learning the true meaning behind the Book of Friends, which allows him to manipulate the spirits listed within its pages, Natsume undertakes a journey with his bodyguard, the infamous spirit Madara, to free the spirits of their contracts with Reiko.